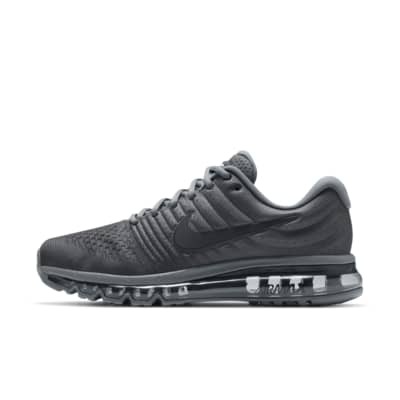 The Nike Air Max 2017 Men&apos;s Shoe features a seamless Flymesh upper for support and breathability. Iconic Max Air cushioning provides a lightweight, smooth feel with each step, whether you&apos;re running your three-miler or running your day. Do not buy these shoes, waste of money. These shoes wear out very fast. I use them for walking everyday and the soles are almost completely wore out in less than two months. The durability of these air max shoes is horrible for the price point. They wear away quicker than any sneakers I have ever worn. Within the first couple of uses I noticed the sole wearing away. I use these for walking nothing extreme and for a couple of hours daily. Sad.